In a career spanning thirty-two years and eighteen fantastic albums, Richard Clapton has earned himself a very special place in the history of Australian contemporary music. A singer/songwriter who combines masterful poetic insight with a passionate rock ‘n’ roll heart, he has articulated the hopes and dreams – and the disappointment and disillusionment – of a generation of Australians. With the dedication of a true artist, he has mapped out the landscape of the human heart. 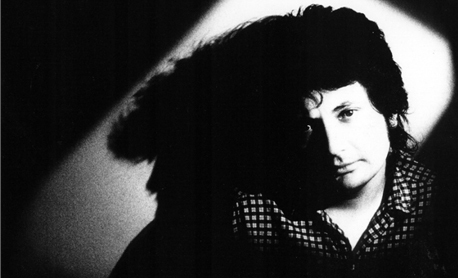 Richard Clapton is indisputably one of the most influential figures in Australian rock history. Respected by peers and critics alike for his finely-honed abilities as a musician and songwriter, he has also kept up a steady flow of hits and a loyal live following over the past two decades. He stands among a very small group of songwriters who have created timeless classics; songs which explore and reflect upon the realities of contemporary Australia, remaining fresh and relevant years after they were written. The fact that so many of his songs are still heard on Australian radio stations every day is proof of the enduring qualities which make his music so special. The titles say it all, from ?Girls On The Avenue?, ?Capricorn Dancer?and ?Deep Water?, through to ?Down In The Lucky Country?, ?The Best Years Of Our Lives?and ?I Am An Island?, Richard has never stopped creating brilliant music. In recent years, he has continued to impress with songs like ?Angelou?, ?Trust Somebody?, ?Glory Road?, ?Distant Thunder?and ?Oceans of the Heart?. Richard Clapton?s music has always embodied a fascinating tension between distinctly Australian references and a broader, internationalist perspective. It is ironic that a man branded as Australia?s quintessential singer/songwriter should have such strong roots in Europe and European sensibilities, but it is precisely this quality that gives his music its edge. Richard Clapton?s very first album Prussian Blue (Festival 1973) was the direct result of a five-year sojourn in Britain and Germany. Richard had travelled to Europe to pursue a career as a graphic designer, but not surprisingly, he found far more inspiration in the exciting music scene of late 1960?s London and the confronting early 1970?s radicalism of a Berlin divided along the strictest Cold War lines. He returned to Australia with a guitar and a bunch of songs and was soon to sign his first recording contract. Prussian Blue contained no hit singles and was not a huge commercial success, but it did attract overwhelming critical acclaim and indicated the arrival of an important new force in Australian music. Over the next year, Richard toured regularly, working both as a solo acoustic artist and with a band, before returning to the studio to record again. Far more so than its predecessor, the songs on Clapton?s second album reflected a recognisably Australian reality. The title track, a poem to the largely unavailable women who walked past Richard as he sat drinking with friends in the window of the long forgotten French?s Wine Bar on Oxford Street, Darlinghurst, became his first true classic and his first huge hit; ?Girls On The Avenue?. The single zoomed to Number 2 on the charts in early 1975. Richard Clapton was to release a third album, the very impressive Mainstreet Jive (Festival Records 1976) before embarking on an extensive tour of Australia and Europe. The album contained a number of great tunes including ?Suit Yourself?and ?Need a Visionary?. Upon his return from Europe, Richard was asked to contribute to the soundtrack of a surfing / lifestyle film called ?Highway One?. The album from the movie is remembered as a classic with contributions from seminal mid 70?s acts such as The Dingoes and Skyhooks. Richard contributed a number of songs to the soundtrack, including the album?s most memorable moment – and his second huge hit, ?Capricorn Dancer?. It was in the following year that Richard Clapton recorded what is now regarded as his first truly great album, and arguably one of the greatest Australian albums of all time; Goodbye Tiger (Festival Records 1977). Where previous recordings had been imbued with a certain acoustic lyricism, as befitted a singer/songwriter of that era, Goodbye Tiger was fuelled by a dark, brooding anger. Ironically, most of the material was written in a farmhouse overlooking a frozen beach on the northernmost tip of Denmark where Richard lived with students from Berlin University; the irony being that many regard Goodbye Tiger as the most quintessential Australian album ever written. Like Neil Young?s landmark, Tonight?s the Night, this was the sound of unleashed frustration and bitter disillusionment. A powerful collection of songs set around the album?s centrepiece ?Deep Water?, the album had surpassed ?gold?status even before its release and catapulted to the top of the national charts. Richard Clapton had arrived. Like so many artists of this period, Richard looked next to the lure of the big time record deal in the USA. He relocated to Los Angeles and recorded a considerable body of work over the next couple of years. Two tracks were placed on the aptly titled Past Hits and Previews (Festival 1978), but these were merely a foretaste of the fully fledged L.A. studio album Hearts On The Nightline (Festival 1978) that was to follow. Featuring L.A.?s finest musicians from bands such as Chaka Khan, Stevie Wonder and Chick Corea, this was Richard Clapton at his most commercial and accessible, and it also revealed the singer discovering the appeal of a funkier, more soulful feel. On songs like ?Ace of Hearts?, Clapton had discovered the power of the groove. Back in Australia again, and clearly intent on maintaining a steady schedule of one album per year, Richard Clapton entered the studio to record the brilliant Dark Spaces (Festival 1980). Featuring a new stripped-back sound, and a number of relatively young musicians, it showed Clapton in fine form as a writer and won him overwhelming critical acclaim. From ?High Society?to ?Get Back to the Shelter?this was an album of truly great songs – but it was in the wake of this album?s success that Clapton finally ended his stormy relationship with Festival Records and signed a new deal with WEA Records. Interestingly, the signing coincided with a new period in Richard Clapton?s musical life. He had long been respected by his 1970?s folk/rock contemporaries – bands like The Dingoes and Stars and the like, but with the onset of the new decade, Clapton discovered that he also had plenty of fans amongst a whole new generation of rock musicians. It was in this period that Richard Clapton forged undeniable friendships and strong musical links with Cold Chisel and INXS. When he came to record his next album, these musicians were very much in evidence (although Jimmy Barnes and Ian Moss were not credited at the time). Produced by Mark Opitz and featuring brilliant tracks like ?I Am An Island?and ?The Best Years of Our Lives?, The Great Escape was yet another truly great Richard Clapton album and the most successful of his career. He produced INXS?second album, Underneath The Colours, which spawned the band?s first two hit singles, ?Stay Young?and ?The Loved One?, but Clapton found himself looking elsewhere for another record label; that company was Mushroom. He recorded one album for Mushroom, Solidarity (1984) and it showed the songwriter discovering the brave new world of sequencers and electronics. It was an introspective album with strong European overtones, (much of the material having been written in Berlin) and indeed, in retrospect, many of the themes on the album were to ring uncannily true later in the decade as geographical and political boundaries came crashing down throughout Europe. The album received widespread national airplay, and spawned a dance hit, ?The Heart Of It?. This track actually reached number one on some dance charts. Richard Clapton?s next album saw the singer back on WEA Records, and once again looking to the northern hemisphere and the antipodes for inspiration. Produced by INXS drummer Jon Farris, (long time friend and now Clapton?s songwriting partner on some of the material) Glory Road was perhaps Clapton?s most fully-realised album to date. Featuring a stellar array of musicians (most notably INXS and Jimmy Barnes) the album is sonically adventurous, thematically all-embracing and frequently just downright catchy. Glory Road produced a succession of great singles, including the title track, plus ?Angelou?, and ?Trust Somebody?, and received significant airplay. The album offered conclusive proof (if indeed, any was needed) that Richard Clapton was every bit as relevant in the 1980?s as he had been in the 70?s. Creatively, Richard Clapton had come to another milestone – and it was time to sit back and take stock. After some fifteen years as a professional musician, he had already produced an extraordinary stream of hits. Along the way, he had also established a reputation as one of the most musically sophisticated acts in the country. Live and on record, his music had been imbued by a rich musical detail that sustained repeated listening – so it was hardly surprising when in 1989, Richard gathered around him a selection of his best known musical collaborators to record his first live album. Featuring everyone from singers Venetta Fields and Jimmy Barnes to INXS, The Best Years Of Our Lives (WEA 1989) was a genuine treat for Richard Clapton fans and an instant smash hit and as with most of his back catalogue, this album continues to notch up very impressive sales years after its release. On the evidence at hand, the 1990?s look like being no less busy, or productive for Richard Clapton. In 1992, after two years of virtually constant live work, Richard signed a new deal with Sony Music. He spent much of that year preparing the album that was finally to be released in mid 1993. Distant Thunder jumped out of the speakers with a startling immediacy and a very obvious commercial appeal. The album featured ten of the finest songs he had ever written, songs which reflected a new stability and sense of purpose. The album also showcased a stellar cast of musicians that included Ian Moss, INXS?Kirk Pengilly and Jon Farris and keyboard whiz Roger Mason. All in all Distant Thunder was conclusive evidence that Richard Clapton was still at the very height of his powers. Twenty years after the release of his very first single, he was still making the best music of his career, and once again receiving critical accolades for his work. Australia has produced some of the finest storytellers in modern music history. Artists who with their words and songs, allow the listener to conjure up mental imagery of local landscapes, whether they be coastal, rural, metropolitan, or everything in between. Images that provoke emotions, a smile, a tear, a memory from the past. The ability to create such a powerful reaction in people is a rare gift. Richard Clapton has this gift. This gift is also something that allows such artists longevity and a career of stories, emotions, and wonderful songs. So many acts never get to see longevity, let alone prosper from it. Richard Clapton has an embarrassment of riches. The Definitive Anthology is 19 songs (23 on the Limited Bonus Package) that simply are the soundtrack to this summer, every summer past, and future summers to come. Just one listen to this life history of Clapton’s worldly observations, and images rush your mind of carefree days gone by. One listen to his brand new single `Calling For You’ and you know that the self-confessed “old hippy” has still got it, and this album maybe should have been called “The Definitive Anthology Part 1″. With a musical career that started in 1973, when the teenage Clapton “put poems to three chords”, Clapton’s life has been a rollercoaster ride. The incredible highs of top-selling albums, sellout tours, his companionship with INXS and the majestic Glory Road album, has been contradicted by the bottomless lows where he found himself homeless on a park bench in Berlin, and getting ripped off by former business associates. But these life experiences have made this songsmith richer in knowledge, and have given him the topics and granted him the inspiration to pick up a guitar and create the passionate art that is his music. One of the beauties of the Richard Clapton Definitive Anthology is simply the timelessness of his songs. The music, the song structures, the imagery and the distinctive voice all combine to create a sense of warmth and knowing, but don’t allow any song to be pigeonholed into any particular time frame. “My music is about the Australian psyche and the Australian soul. I just write about my immediate environment – it’s what I know how to do best,” he modestly says. While his music has seemingly easily survived three decades in the musical spotlight, Richard himself hasn’t found it so elementary. While his songs have become the staple diet for a myriad of radio stations nationwide, their author’s personal fortunes have not been so remarkable in the same twenty-odd year period. Four record companies, bad business decisions, rip-offs, excess, writer’s block, flop records, the death of his close friend Michael Hutchence and the frustration of everyday life has been relentless for him. A lesser person would have packed it all in and moved away (something he nearly did). But true to his total commitment to his craft, he has always reached for the guitar, dug deep and reached for his soul, and delivered words and music: cathartic for him and inspirational to others. Clapton’s songs are not only personal observations about the things that he experiences, but they are songs that become personal to every listener because he sings about the things we know and love, or maybe hate. His lyrics are incredibly literal, and this is their charm, and is exactly what allows us to feel comfortable when listening to his music. When he sings about the Station Hotel in Melbourne, or “sitting out on the Palm Beach road”, the listener instantly connects with a mental image, as we’ve all been there or been in a similar situation. They are everyday lyrics for everyone, but delivered with a finesse that only someone very special can create. To single out any one song or songs from The Definitive Anthology would be unfair. Take a look at the track listing. How do you separate `Deep Water’ and `Goodbye Tiger’? Or `Girls On The Avenue’ and `The Best Years of Our Lives’? From the opening bar of track one, to the final moments of the album, this is an astonishing body of work from a singer, performer, and master songwriter – an artist who has been as much a part of the musical lives of hippies, surfers, inner city dwellers and corporate suits. There is no song that you will skip past and no song that is unfamiliar. It’s actually amazing just how many times you’ll find yourself singing along to songs that you didn’t realise you knew. Such is the power and subtle skills of Richard’s words and blissful waves of gentle rock. Sit back and relax, and allow yourself the pleasure of this collection, as Richard Clapton tells you stories of his life…’coz his music is now part of our lives. As he pulls his shaggy black mane of hair back behind his ears, and peers through his customary dark sunglasses, it looks as though the often-touted eternal bridesmaid is set to walk down the aisle. These are the good old days. After 33 years as one of Australia’s leading singer/songwriters, Richard Clapton releases his first acoustic album – REWIRED. REWIRED features new versions of many of Clapton’s classic songs. These are tunes wired into the psyche of almost every Australian between the ages of 16 and 60. REWIRED also features a new song ‘Liberty Bell’. It’s an impassioned broadside at the stifling, vicious conservatism of the times in which we live. ‘Liberty Bell’ is Clapton at the absolute height of his powers. Richard Clapton is one of the few artists who paints the big picture as well as the miniature. He has an eye for the meaningful detail – the view of an unspoilt North Coast, the backstreets of Kings Cross, the chaos of life in the fast lane and the sweet haven of a love affair. And if anyone wants to know what’s been going down in the lucky country these last thirty years, REWIRED is as good a reference as there is. Some of the songs on REWIRED are thirty years old. They have stood the test of time. Many of them have never been off the radio since Gough Whitlam was PM. Reconstructing them acoustically allows us to hear them afresh. In early 2005, at the urging or Warner Music President Ed St John, Richard set up his home studio and began revisiting some of his favourite songs from his catalogue. “We agreed at the start that this wasn’t going to be a greatest hits record,” he says. “I wanted to take them apart and peel back the layers of these songs then reinterpret them in a whole new way. Clapton is a multi-dimensional artist. Over four decades Clapton has charted the soul of Australia. Few songs capture the optimism and freewheeling spirit of the mid ’70s as well as ‘Capricorn Dancer’ or ‘Blue Bay Blues.’ Then in the late ’70s the winds of change blew colder. It was as era of diminishing possibilities as punk rock and Malcolm Fraser raged. Clapton caught those times in the bittersweet ‘Goodbye Tiger’ – a poetic epic worthy of Jack Kerouac. Later, Clapton described the dark hedonism of the 1980s. The age of terror that is on us now is prefigured in his songs such as ‘Glory Road’. Clapton has seen all sides now – a turbulent personal life, the highs of success and the lows; he’s lived in the US. the U.K., Germany and Australia. A life of unique experiences has gone into one sprawling body of work. “My music is about the Australian psyche and the Australian soul. I just write about my immediate environment – it’s what I know how to do best,” he says. REWIRED was recorded with Richard, Dave Leslie and Danny Spencer playing guitars. Matt Cornell played bass except ‘Trust Somebody’ where Michael Hegerty returned to the fold. Marcus Holden plays mandolin, fiddle and zheng. Of course, the perennial Venetta Fields sings backing vocals on ‘Glory Road’ just as she did 20 years ago.